Over the past 35 years more people have chosen Shield Alarm Systems for their security needs. 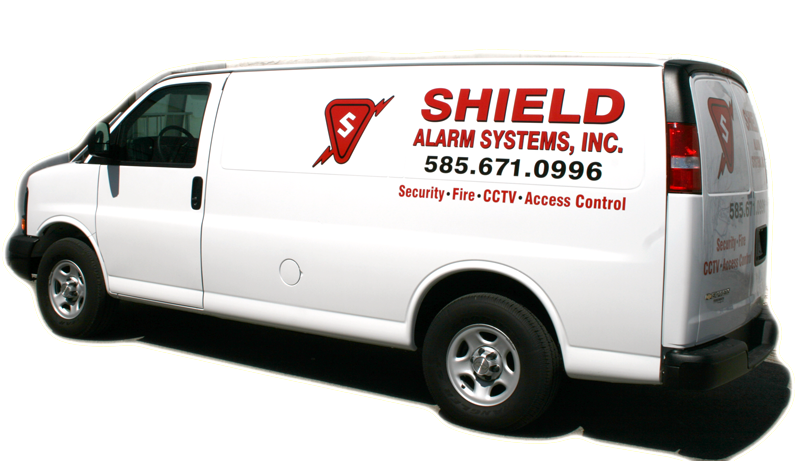 Shield Alarm Systems, Inc. is a full service security company providing the latest technology to customers in Monroe and surrounding counties for over 35 years. The company was founded by Gary Blaschek, a Rochester police officer with over 26 years of service. In 2005, his son Bryan stepped down as a Deputy with the Monroe County Sheriff's Office to take over as President. Shield Alarm Systems is operated by family and retired law enforcement. This experience allows us to design a system that will give you peace of mind and help to protect your family or business. Our goal as a company has always been to always be proud of the products and services that we provide. These are qualities that you would expect from a family run business. We are constantly integrating the latest innovations into our systems and continually offer these technologies to our customers. We have built a reputation of honesty by not over selling our systems and providing superb customer service. This has allowed the majority of our growth simply by referrals from our customers. Rest assured by selecting Shield Alarm Systems, you will receive the highest level of security, competitive pricing and outstanding customer service. ©2019 Shield Alarm Systems, Inc. All Rights Reserved.